23.06.2012. Pulheim, Cologne, Germany. 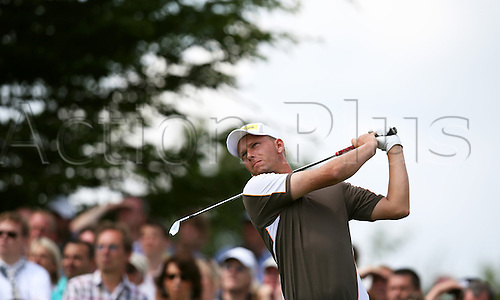 German golfer Marcel Siem watches his shot during the BMW International Open golf tournament in Pulheim near Cologne, Germany, 23 June 2012.